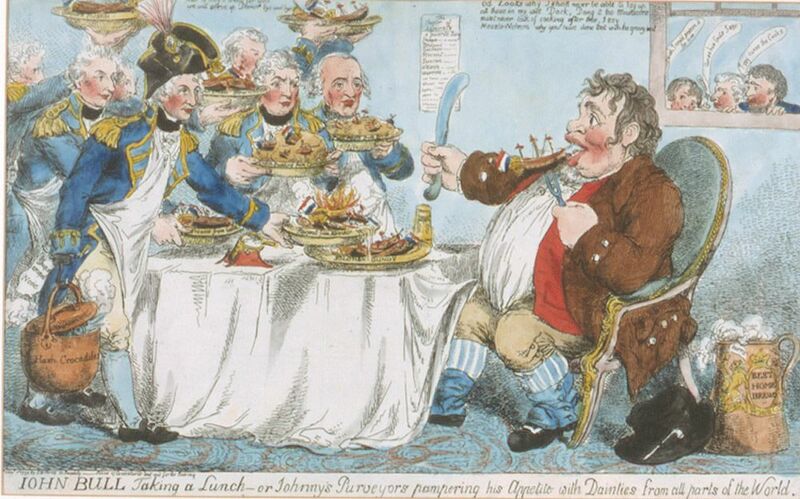 Colour caricature of John Bull taking lunch. Published 24th October 1798 after the Battle of the Nile. It depicts Nelson and other famous contemporary Admirals feeding French and Spanish ships to John Bull. This John Bull Taking a Lunch Art Print is created using state of the art, industry leading Digital printers. The result - a stunning reproduction at an affordable price.